Heng Yang and his Ph.D. advisor Maryam Saeedifard have been selected for the IEEE Industrial Electronics Society Best Transactions Paper Award. 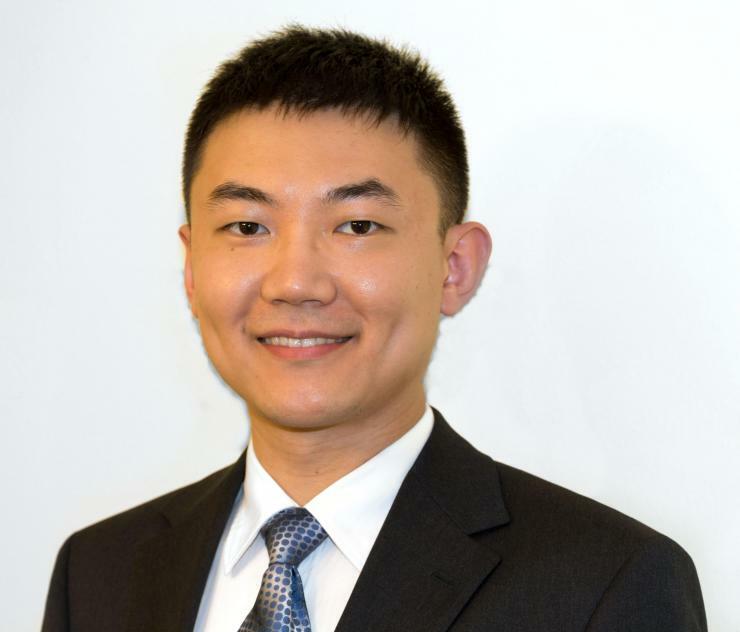 The award will be presented during the banquet of the 2018 IEEE Industrial Electronics Society Conference, which will be held October 21-23 in Washington D.C.
Yang is a June 2017 Ph.D. graduate of the Georgia Tech School of Electrical and Computer Engineering (ECE), where he was advised by Saeedifard, an associate professor in ECE. Yang is is currently a senior application engineer at Monolithic Power Systems in San Jose, California, where he leads the development of scalable high-current power modules. Yang’s award-winning paper entitled, “A capacitor voltage balancing strategy with minimized ac circulating current for the dc-dc modular multilevel converter," was published in IEEE Trans. on Industrial Electronics, vol. 64, pp. 956-965, 2017. The DC-AC modular multilevel converter (MMC) has become one of the most attractive converter topologies for medium and high-voltage/power applications due to its modularity and scalability. The DC-AC MMC topology has found many applications, most notably in high-voltage energy conversion systems. The DC-DC MMC has subsequently been proposed/derived based on the DC-AC MMC concept, borrowing its salient features for medium-/high-power DC-DC conversion. However, the operation and control challenges for the DC-DC MMC are fundamentally different from those for the DC-AC MMC. As opposed to the DC-AC MMC, proper operation of the DC-DC MMC necessitates injection of AC circulating currents within the legs. However, those circulating currents deteriorate the efficiency and increase the size of submodule capacitors and rating values of the switching devices, thereby increasing the footprint and cost. The paper presents novel control strategies to inject the minimum AC circulating currents such that proper operating of the converter is guaranteed while the converter efficiency and power density is maximized.